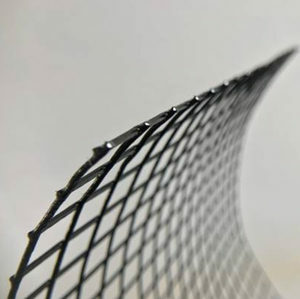 Black Coated PVC Mesh is made from strong, yet pliable 19-gauge galvanized metal. The PVC coating protects your hands from the mesh, and the mesh from the environment. The easy-to-cut rolls are nearly invisible when installed on a structure, the company says, and new sizes are available not only for solar panel protection, but also for use in eaves, narrow openings, fences, chimney caps and more. The 0.5-inch mesh is offered in 6” x 100’; 8” x 25’; 8” x 50’; 12” x 100’; and 48” x 100’ rolls. The 1-inch mesh is offered in 8” x 25’ and 8” x 50’ rolls.